'Anyone wearing perfume?' asks Belizean conservation officer Roni Martinez as we pile into the back of a dust-covered Land Rover with all the high-tech camera equipment, binoculars and machetes necessary for a 8am trek into the Mountain Pine Ridge Forest Reserve. Everyone in the vehicle raises a collective eyebrow, but it’s a valid question. Following recent clinical tests that involved dousing a tampon in Obsession, it turns out the elusive jaguar is attracted to a whiff of Calvin Klein. Sadly, I’m not wearing it and, coincidentally or not (they’re more likely to be spotted at night), we fail to see one of these strikingly beautiful yet highly endangered big cats. 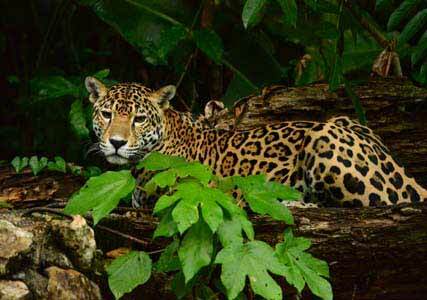 Tracking jaguars is a prime reason to visit Belize, which is home to a roll-call of wildlife that includes scarlet macaws, howler monkeys and the large Baird’s tapir. Gazing out over magnificent waterfalls and acres of forest with trees seemingly coloured in with green Crayola crayons, we move on to an amusing game of first person to spot a toucan gets a beer. Being the national bird, this has got to be easy, right? There are so many false alarms, I soon learn a very important lesson in life: getting excited for nothing is still good for you. I never dreamed I’d get into birdwatching. Truth is, I’d barely heard of Belize until, looking into the options for a Central American holiday, I twigged that picking the former British Honduras was a no-brainer – both on a fuss-free level (everyone speaks English and US dollars are widely accepted) and a geographical one. Wedged between Mexico and Guatemala, and similar in size to Wales, travellers get to put one foot in the dense, vast jungle and the other in the sparkling, calming Caribbean Sea. Or, as I do, knacker yourself pretending to be Indiana Jones’ better half, then recuperate at the beach. To do one without the other would be to misunderstand this utterly unique and remarkably unspoiled country. After flying into the capital, Belize City, we take a charter flight west to Cayo District (alternatively, it’s a two-and-a-half-hour drive) to spend the first part of our trip at Blancaneaux Lodge. 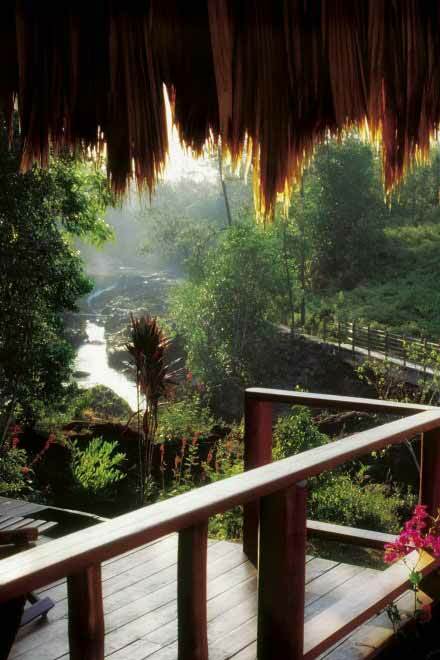 This luxurious yet rustically charming off-the-beaten-track resort is owned by legendary film director Francis Ford Coppola and is home to fast-flowing rivers, bountiful gardens and 20 mountainside cabanas and villas. He discovered it in 1981, while searching for the jungle retreat he relished while shooting the movie Apocalypse Now in the Philippines. After more than a decade as a family bolthole, it was opened to us mere mortals in 1993. Following some refreshing Jaguar Juice – a pineapple rum welcome cocktail – we’re checked into a spacious woodland villa designed both for comfort (homemade coconut cookies? I’ll take a jarful) and wow factor. From our hammock in the magical tealight-lined open-air living room I can see – and hear – wild streams and tropical pines teeming with squawking birds. But there’s little time to kick back: with so many friendly, helpful staff (they all know our names; how do they do it? 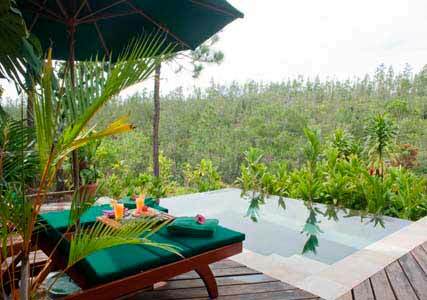 ), it’s impossible not to get excited about everything you can do here, from mountain-biking to a Thai massage. Within an hour I’m climbing on to Magnum the horse and galloping down to Big Rock Falls to take a cool dip under a cascading waterfall. With trusty guides both leading and following, the fact that I haven’t ridden a horse since I was five (and promptly fell into a bush of nettles) is irrelevant. And the ensuing delicious lunch of fresh gazpacho and shrimp ceviche with tortillas, washed down with ice-cold lime juice, feels even more satisfying after a stroll in the organic garden where much of the resort’s produce is grown. 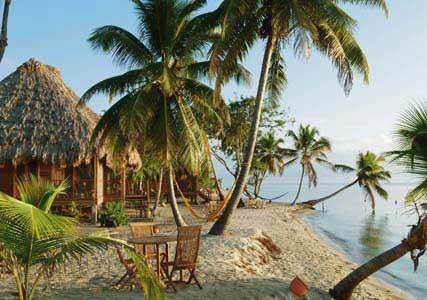 Belizean cuisine is hard to define, but has Mexican, Caribbean, African and Spanish influences. Be prepared to eat a lot of rice and beans, make the most of a wide variety of seafood, and relish an abundance of exotic fruits. Go easy, though, on the Coppola Pinot Grigio (yes, he makes wine, too) at Blancaneaux’s Guatemaltecqua Restaurant – particularly if you’ve signed up for a Jaguar Quest night hike. Even khaki-clad Roni and his team of machete-wielding experts can’t save me from the embarrassment of falling on my arse in the dark, rainy jungle. The air is moist, it’s freezing, and I’m exhausted, but battling our way to a cluster of towering oaks, where carefully positioned camera traps capture nocturnal wildlife activity, is rewarded by thrilling viewing on Roni’s laptop at the Blair Witch Project-style results. Mainly silver foxes and tapirs, admittedly, but exciting all the same. That night, the noises from the trees outside are so loud I have to pop in a pair of earplugs – essential kit if you don’t want to wake up thinking you’re on the set of The Birds. After three action-packed days, it’s time for our next adventure, but not before visiting the historically fascinating surrounding area. 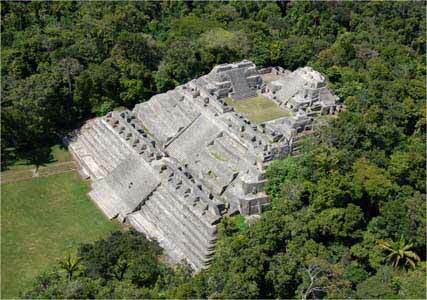 Less developed than nearby countries, Belize was the centrepoint of the awe-inspiring ancient Mayan culture that dates back to 1500 BC, and which is still being uncovered, temple by temple, today. A tour of Caracol, a 90-minute drive away and the largest and most important Mayan ruins site, takes us, out of breath in the sweltering heat, to its highest point. Our guides offer entertaining anecdotes explaining how Mayan kings stuffed jade in their teeth as a status symbol – ‘rather like rap stars flashing their bling today’. I’m sad to leave the jungle, but can’t deny it’s a relief to head to the breezy serenity of the Caribbean coast after such unpredictable and often humid weather. A three-hour drive from Blancaneaux, interrupted by an excited camera/tripod moment (a toucan – at last!) takes us to the beachside resort of Turtle Inn, a luxurious hideaway just north of the Creole village of Placencia. This is another Coppola getaway, and even if it didn’t have all the attention to detail – my seafront thatched-roof villa comes with a spacious Japanese-style soaking tub, a ‘shell phone’ for me to contact reception 24/7, and an enormous jar of, you guessed, homemade cookies – I’d still think I’d stumbled into paradise. Golden sands, hammocks hanging from palm trees, and no sound apart from crashing waves. It’s so therapeutic you could probably record it on your phone and flog it to iTunes as a hot new relaxation app. It’s tempting to do nothing, and, of course, there are mornings where, after a leisurely breakfast, we swim in the pool, kayak slowly round the harbour and fall asleep during a 90-minute massage. But with saltwater fly-fishing, scuba-diving and snorkelling on the menu, the adrenalin junkie in me soon awakes. Our last night comes all too fast, but a candle-lit lobster supper at the beachfront Gauguin Grill doesn’t disappoint, before we throw caution to the wind and venture into the (surprisingly happening) local town. I had attempted this earlier in the afternoon – to stock up on some Belizean hot sauce – but fell off my bike into a bush. A night on the Placencia tiles, strawberry daiquiri in hand, sure perks me up. It’s where our brilliant guides go on their night off, where the hypnotic sound of bongo beats fills the air and the local Belikin beer flows so enthusiastically we find ourselves back at the resort in the early hours, jumping fully clothed into one of the villa’s private pools. It’s a fine end to a dream trip that’s been unpredictable, exhilarating and wild – just like Belize itself.